Russian Porcelain Egg Cup by Kornilov Bros C1910 $550 Small crack to cup. Marked in red script in English:" Made in Russia by Kornilov Bros". 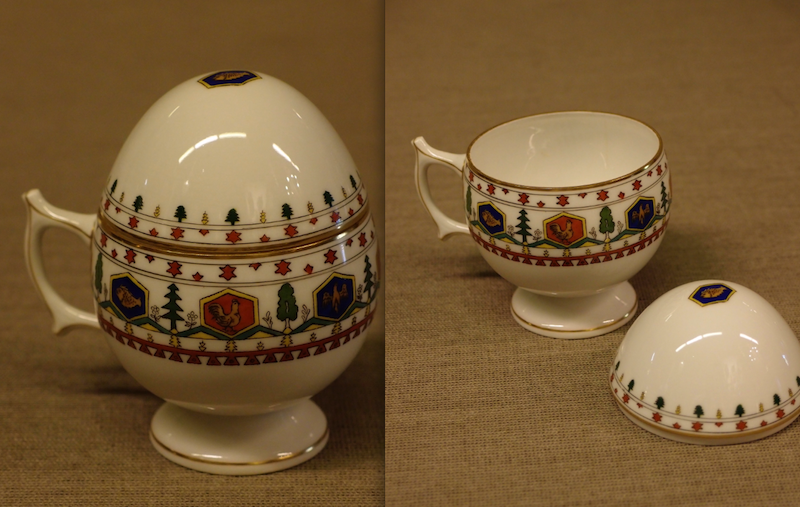 Kornilov did have a specialty of producing porcelain specifically for export to the USA, and in particular to Tiffany. 10cm tall. Marked in red script in English:” Made in Russia by Kornilov Bros”. Kornilov did have a specialty of producing porcelain specifically for export to the USA, and in particular to Tiffany. 10cm tall.